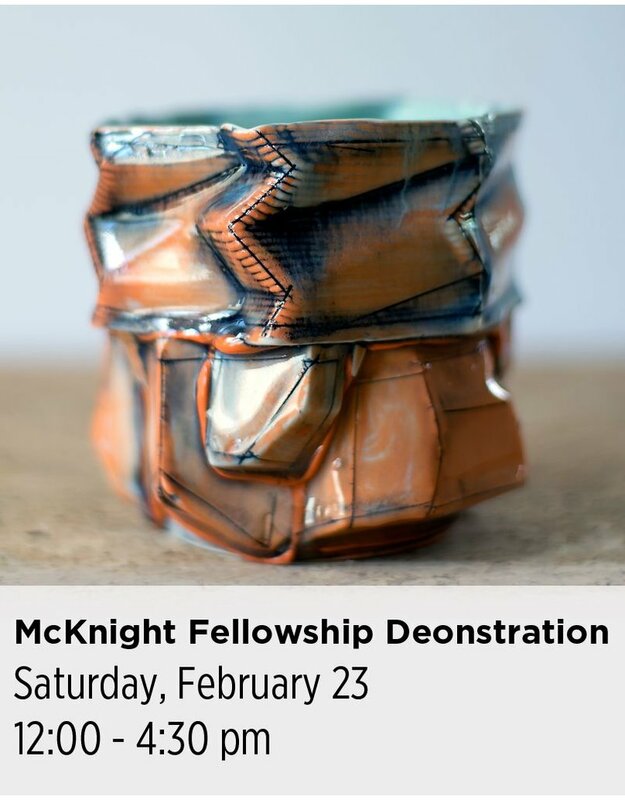 Description: 2018 McKnight Ceramic Artist Fellows Brett Freund (Minneapolis) & Donovan Palmquist (Farmington) will each give a presentation about their work and development as an artist, and then share two hours of studio time, showing their techniques and skills. Coffee & cookies will be served. This program is supported by The McKnight Foundation.